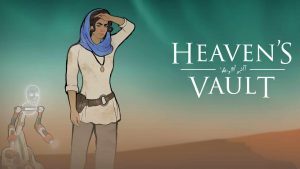 Read our review of Heaven’s Vault – a stunningly deep, sci-fi narrative adventure from the developer of 80 Days, Inkle Studios. This week’s Looking Forward delves into Heaven’s Vault – a wholly original effort that casts players as an intergalactic archeologist who must track down a lost colleague. 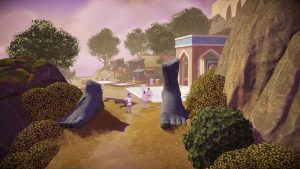 80 Days developer Inkle Studios has confirmed that the official Heaven’s Vault release date is scheduled for the middle of next month. 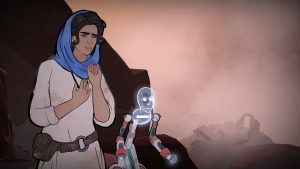 Check out our hands-on preview of Heaven’s Vault from Inkle Stuidos – a sci-fi, intergalactic arechology adventure where language is all-powerful. 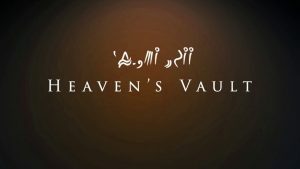 One of the most intriguing PS4 releases of the year in Heaven’s Vault gets a brand new story trailer that establishes its premise. Take a look.